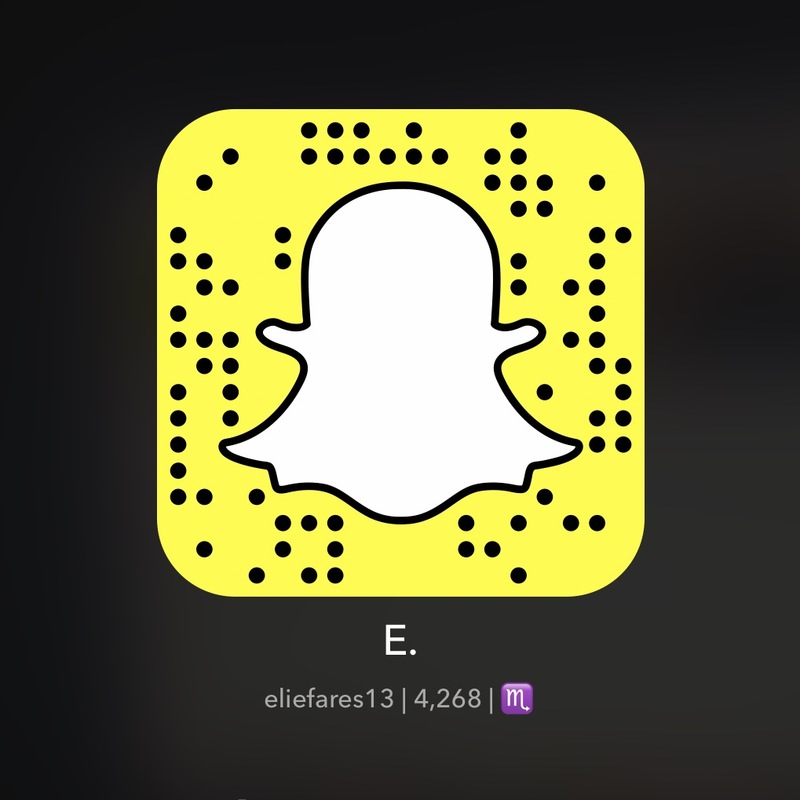 This entry was posted in Lebanon and tagged Beirut, charity, Homeless, Lebanon, poverty, restaurants, Zaatar w Zeit. Bookmark the permalink. Hey, i’m not publicizing for any kind of restaurant, but my friend just posted about Crepaway, he was studying there and they gave him an extra dish of crackers and chicken fingers ! seems restaurants all around are doing these small gestures for WOM , and i’m not complaining ! If that was really true then this is the least Zaatar w Zeit can do since they’re wayyy overpriced with manakeesh prices, 300% more expensive than other manakeesh places in Lebanon and Dubai. I don’t care if the waiter helps help one poor man because this was a decision from a KIND waiter not their policy, I care when their prices can reach the low-income people. Not to punch holes in anyone’s happiness, but has it occured to anyone that these random acts of kindness are the results of human beings and not the restaurants? I am highly supportive of this, and again I’m not here to diss Zaatar w Zeit. But I think we should mostly be grateful for the waiter that took that initiative. In both restaurants. 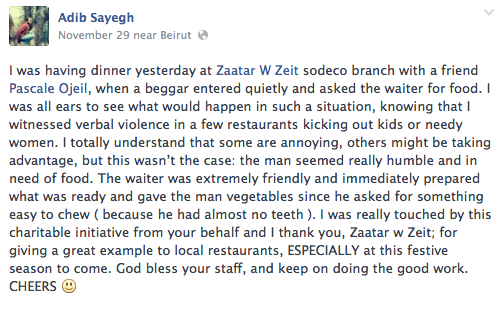 I have yet to see a restaurant in Lebanon that regularly serve the needy as part of their business operations. And to the employee that served with all his heart, you deserve all my respect.